Companies today rely on information technology to run an efficient and competitive business, but business IT solutions can be complex and often require a very specific set of skills and insights to solve particular problems as they arise. Because of this, many companies opt for outsourced IT solutions rather than build IT departments in-house. Developing a productive IT department for your business can be an HR nightmare and cost a great deal of money–sometimes, they don’t even yield the highly-specialized IT support that you need. When it comes to the safety of your data and the productivity of your company, you want to be equipped with the most effective business IT solutions. Your IT solutions should adapt seamlessly with your changing needs, and your IT solutions should always involve the most up-to-date efficient technologies. Your IT solutions should be both proactive and reactive: immediately fulfilling your specific needs with your business’s future goals in mind. Outsourced IT services are so popular for small and midsized businesses because it provides comprehensive IT support from the most skilled IT consultants without suffering an HR upheaval and exorbitant costs. Regardless of your business’s needs now or in the future, with outsourced IT you are sure to receive IT support from someone specifically trained to hire that precise issue. With outsourced IT, you receive flexible business IT solutions that grow with your company, allowing you to leverage your technology in a way that improves processes and provides superior efficiency. When your business uses outsourced IT for IT solutions, you receive expert, customized, comprehensive IT solutions that care for your business’s present and future, working to maximize your use of information technology to best achieve business goals. A great deal of effort and expertise is required for the constant management, upgrading, and protection of your business’s complex IT. Simply keeping up with frequent software upgrades and adaptive applications can be a headache–not to mention the complicated and sprawling network infrastructures and easily disorganized emails and the ever-threatened protection of your data. When workers try to adapt or organize the IT themselves, it creates an unnecessary distraction that often results in shoddy, incomplete work that further exacerbates the problem–and investing in an expensive and exhaustive in-house IT department occupies even more of your business’s valuable resources. Consider employing the expert services of outsourced IT instead of draining your company’s vital resources and struggling through the results of ineffective IT solutions. When your workers aren’t burdened by slow, clunky, disorganized IT–and when your businesses isn’t encumbered by compromised infrastructure or congested bandwidth–your business retains more resources, opening your business to refocus resources more effectively. With outsourced IT support, your business IT solutions will effectively enhance your system’s strengths and provide you and your workers with a more streamlined, efficient infrastructure that yields maximum productivity. IT is always changing, adapting, and growing, making it hard for businesses to stay updated with the most competitive IT available. Software, hardware, networks, applications, infrastructures: every part of your business IT has a newer version, a better version, a faster version, a version that better facilitates your business’s growth. Ensuring your softwares and systems are effectively upgraded is easy when your business IT utilizes outsourced IT solutions. Outsourced IT consultants will provide customized, tailored services to solve your business’s IT needs. Furthermore, solutions from outsourced IT consultants are flexible, adapting as your company grows and your business needs change. When it comes to business IT solutions, you want your company to be protected while also retaining the ability to grow and adapt unhindered. When you pursue business IT solutions with an outsourced IT consultant, you can rest assured knowing your company’s technology will always function at peak performance. 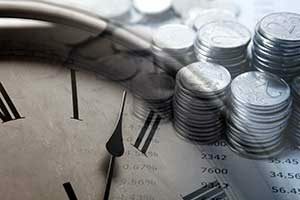 Your business will have updated, and effective, budgeting strategies, organization, software and software development, staffing, network planning, network assessment, and network optimization, as well as change management. With the comprehensive, expert business IT solutions offered by outsourced IT consultants, your business will successfully grow alongside changing technological trends. Outsourced business IT solutions will accelerate, optimize, and enhance the overall value, and inner functions, of your business’s IT processes. When your business works with expert outsourced IT, your company can grow, adapt, innovate, and accelerate. Outsourced IT consultants will provide your company the business IT solutions you need exactly when you need them. With outsourced business IT, your company is benefited by expert, professional IT consultants at all times, without being burdened by an expensive, robust addition of a permanent, in-house IT department. Delegating your business IT needs to an outsourced IT support gives you, your business, and your staff greater access to expertise without breaking the budget. With outsourced business IT solutions, your system’s performance is optimized so your company can benefit from skilled IT manpower and effective organization. Don’t worry over an in-house technician who has limited experience: when you outsource your business IT solutions, you are ensured always-available expertise that alleviates headaches and reduces your overall IT costs. Furthermore, your company will receive proactive business IT solutions that protect your company’s IT from future costly complications. Outsourced business IT consultants perfectly compliment your business, intimately learning your business’s priorities and needs, as well as the necessary adaptations and enhancement of your current IT. With outsourced business IT solutions, your business stays flexible, competitive, and adaptable, while saving money. Outsourced business IT consultants protect your company, your data, and your entire IT infrastructure. Even if your business IT needs feel small, you’ll want to make sure you communicate them to your potential outsourced IT consultant. An experienced expert will know if your current needs are symptomatic of a larger IT need, and they will know how to best devise the most effective solution. 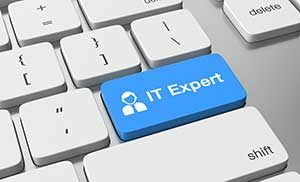 The most dedicated outsourced IT consultant will be able to tend to your IT needs right away, whether they do so personally or via a help desk. The most comprehensive, professional outsourced IT consultants will offer unlimited help desk support as well as remote monitoring and maintenance support. In an emergency, you want to ensure that you get the IT help you need right away. 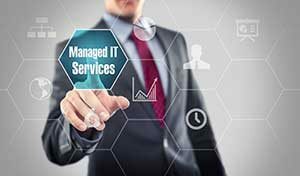 Does the potential outsourced IT consultant offer comprehensive server care that includes infallible data backup and data recovery? How do they secure your data? You want to ensure that with the potential outsourced IT consultant that your information is always secure, protected, and retrievable. If you pay for cheap IT support your business will be burdened by cheap IT support. Still, you should not feel robbed when you retain the right outsourced IT consultant. The most effective and professional outsourced IT consultants will offer your business IT solutions through support plans that cost a flat rate fee that does not fluctuate when your needs do, meaning that regardless of your emergency you are still paying the same fee. The best outsourced IT support for your business IT solutions will communicate with you effectively and fairly. Their own site should be user-friendly and easy to maneuver, meaning you should find the information you’re looking for fast. The most professional and expert IT consultants will want to keep you informed. Their site should offer relevant information and define important terms for their clients. Communication is key.